PORTLAND, Ore. — To say Marcella Cash has had a productive club soccer season would be like saying Carli Lloyd is just OK.
It’s understating at its best. 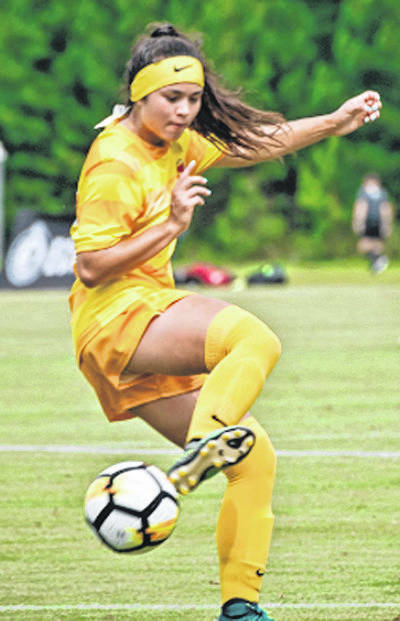 The Beavercreek High School rising junior just completed one of the all-time great seasons in the Elite Clubs National League, scoring 46 goals as her Ohio Elite team made it to the national semifinals, finishing fourth. 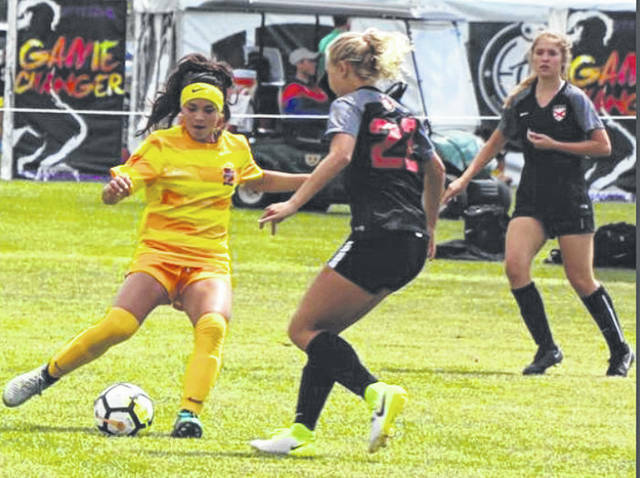 And as a result of her scoring surge, Cash earned an invite to the ECNL integrated national training camp at the University of Portland, where she has spent this week learning from some of the best, including top women’s professional team Manchester City. Cash is one of just 40 in three age groups attending the joint program between ECNL, Nike, International Champions Club, and US Club Soccer. She was selected after attending a regional camp. Despite her impressive resume, Cash said she was “shocked” when she found out she was selected. Nonetheless, Cash and the other players have been immersed in technical training sessions and games all week. Cash knows when she hits the field at Frank Zink Field this fall, she will be much-improved. That’s bad news for teams on the Beavercreek schedule because Cash was already pretty darn good. After scoring just eight goals as a freshman, Cash scored 23 in 20 games last season including three hat tricks. She was fifth in the Greater Western Ohio Conference with 48 points and third in goals. That carried over into club play. In her first year with Ohio Elite, defenses had a hard time marking Cash. Lesiak said in his 10 years in the ECNL he has never had a player score as many goals as Cash did. Cash credited Lesiak and Doug Bracken, director of coaching, along with the top-notch competition in the ECNL for her meteoric rise. Cash is considering the University of Dayton and plans to visit the University of Louisville and the University of Texas this fall as well. She said is in no hurry to commit. For now, she’s just focusing on playing. And of course, scoring.